Beautiful scenery, beer, bag pipes AND a brass band. What more could one ask for from a summer trail run? Why so many runners spend hours training during the autumn-winter for spring marathons and then stop, missing out on summer running is beyond me. It’s a question that sprung to my mind even more than usual as I ran the beautiful Bewl 15. This race, on the Kent-Sussex border has been on my radar for quite a few years and finally, in it’s 16th year, I got round to running it. It is rare for me to say that I’ll run the same race twice but this one I will definitely be doing again in 2016. 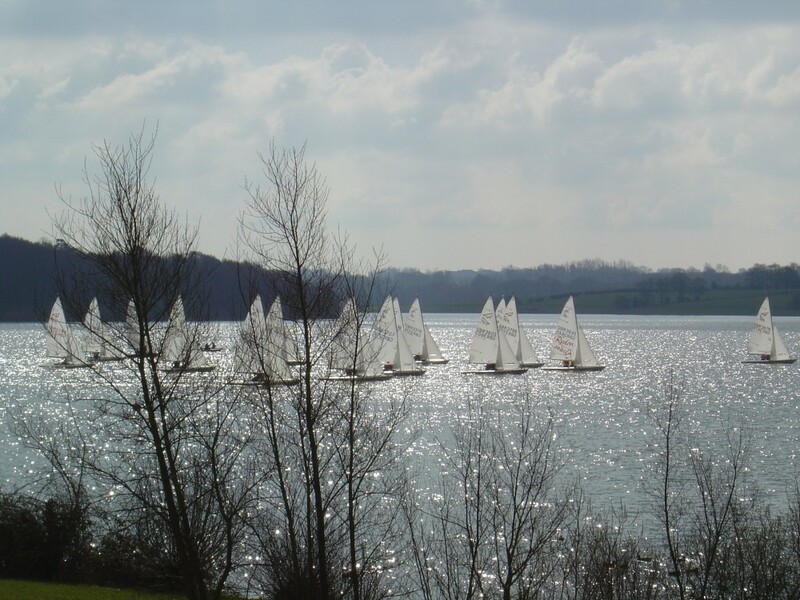 The 15 mile route traces the beautiful Bewl Water Country Park, an undulating off-road route, with the final five mile on country lanes. 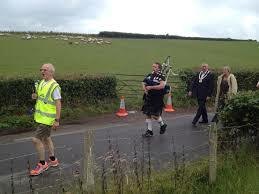 The start line was a small banner over a country track, where we were lead by a bagpipe player’s deep atmospheric piping. 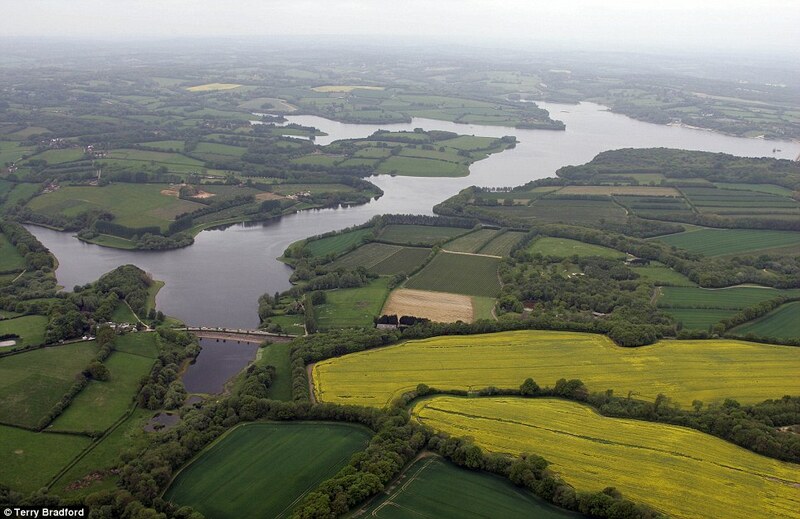 Here, club athletes stood, frozen in position, fingers posed over their training watches, ready for the off. It was a fast start, straight downhill and if you are aiming for a position, you need to be out in front. While the trails are fairly wide, the route tracks through narrower sections, edged with high grass either side that is a pain to run through if you’re trying to pass anyone. I’d heard that the year before, this was a hot race but this time round, I found myself running in a welcome cool drizzle. But it means that you need to choose your shoes carefully. I opted for my Salomon Speedcross trail shoes, while those who ran in road shoes found themselves slipping and sliding, and I had to duck a few windmilling arms to avoid being smacked in the face. Whether you do this run for the beauty of the scenery, where small boats bob on the water and the sound of honking geese drift over the water, sounding more like a pack of hunting dogs, or to race hard, this is a fantastic summer trail event. If you are going for a position, train for undulations, and ensure you do some hill running on fatigued legs for the final portion of the race; from mile 10, the elevation goes from around 200 feet to 400 feet and keeps repeating this over the final sections (check my Strava read out below). But the best thing of all about this race? The finish line has a fantastic social atmosphere with a brass band, barrels of Harvey’s beer and tables groaning under the weight of homemade cakes. The only other running event organisers who emulate this kind of atmosphere, and who are, in my mind, the leaders of post-race event atmosphere are the Lakeland Trail Series. I loved this race. For the route, the scenery, atmosphere and, of course, the cake. More toilets would have been good. Same old, same old lament. At a push, all I can think of is that there wasn’t a huge amount of parking. We were lucky and pulled in just as someone vacated a spot. The Goody Bag: Haul or Hoard? I usually take a race bag, look and give it back. This time, I didn’t. 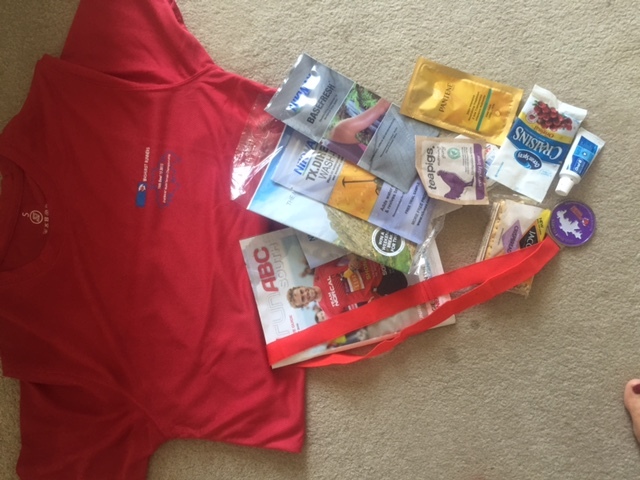 Along with a red t-shirt and medal, the race bag contained lots of really useful stuff, like Nikwax Tech Wash and Basefresh, salted crackers and cranberries, both great for recovery, a teabag, Run ABC South magazine, all useful and relevant. A few local, not relevant leaflets, plus a sachet of conditioner but other than that, actually things I’d eat and use.